Sunday, September 27, 1 – 5:30 p.m.
“Lynchburg is growing more rapidly than any [town] I have ever known in any country.” So Thomas Jefferson wrote in 1817. He might have added that much of that growth was occurring on a certain hill just to the southwest of the original town limits. In fact, Federal Hill, as it soon came to be called, was Lynchburg’s first residential suburb. 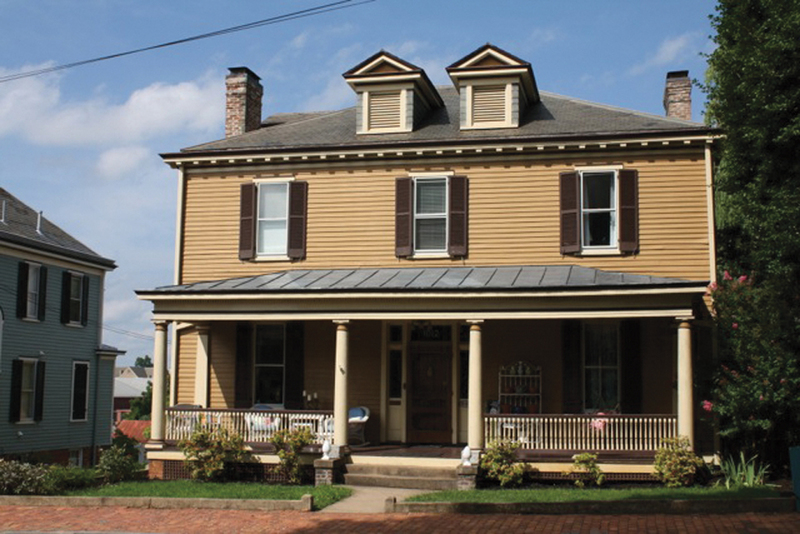 The many Federal-style houses built during Lynchburg’s early 19th-century era of prosperity still define the neighborhood. When Federal Hill was studied in 1974 in preparation for being nominated to the National Register of Historic Places, the Virginia Landmarks Commission declared that few Piedmont cities of the South can boast of such a distinguished grouping of Federal dwellings. Federal Hill was placed on the National Register of Historic Places in 1980. Join the Lynchburg Historical Foundation for a tour of four homes in the Federal Hill Historic District on Sunday, September 27 from 1 to 5:30 p.m. Tour tickets ($20) are available through lynchburgtickets.com, the Lynchburg Visitor Information Center, and on the day of the tour at tents on 12th/Harrison and 11th/Federal Streets. A Patrons’ Party will be held Sunday from 6 to 8:30 p.m.; reservations are required and tickets ($75) must be purchased by September 18th. (Patrons’ Party home is not included on the tour.) Here, take a look at the homes featured on the tour. Originally built in 1910 by Lewis & Burnham Architects for Henry A. Allen Jr., the home has seen many changes on Federal Hill in 105 years. Remarkably, this Colonial Revival has kept many of its original fixtures and all of its character. 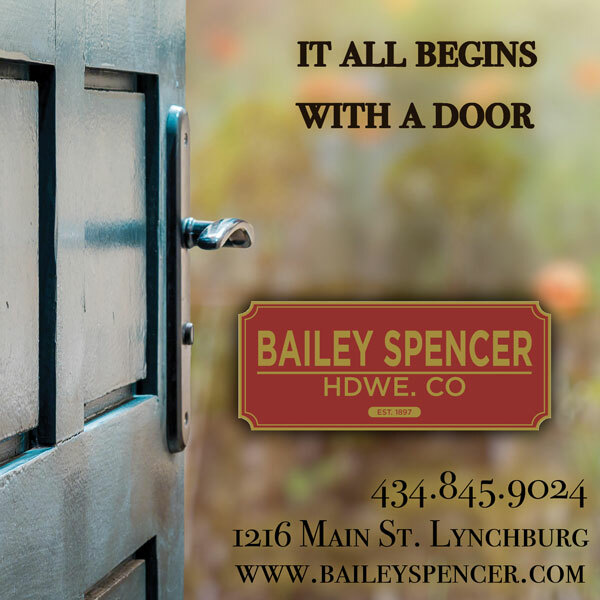 The home is filled with books, family photos and original artwork as well as furniture and accessories acquired from both fine antique stores and repurposed finds. Built in 1890 by William A. Ford, a tobacco merchant, this home’s architectural style is a transition between Queen Anne and First Colonial Revival. In this house you will see a cabinet that would have held tobacco samples, Mr. & Mrs. beds in the Renaissance Revival style, original soapstone fireplaces, original hearth tiles and a border designed by illustrator Walter Crane. 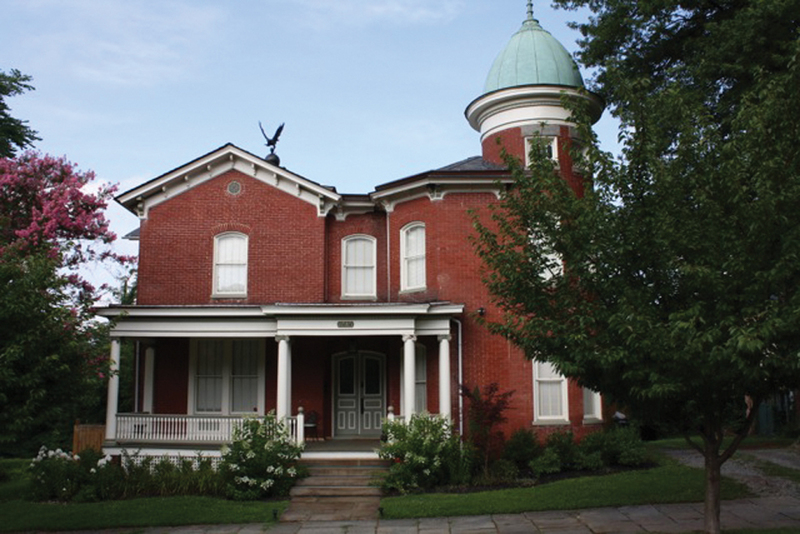 Showing up on Gray’s Atlas in 1876, the Sidney F.(Carroll) Miller Home, designed by architect Robert C. Burkholder, is one of three French Second Empire homes built on the “Carroll Compound” on Federal Hill. 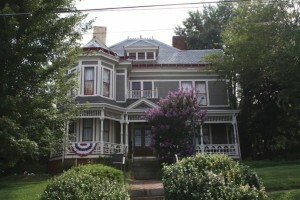 Mr. Carroll, Lynchburg’s first millionaire, built this home for his daughter Sidney during Reconstruction. 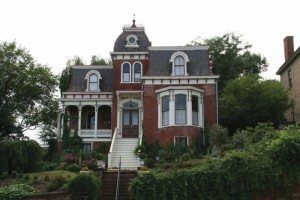 The home has its original Mansard roof, built of Virginia slate. It has a commanding view of downtown, perched atop a massive stone retaining wall high on Federal Hill. 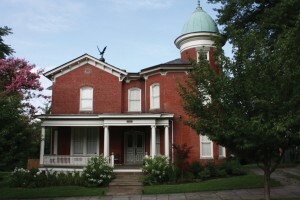 This house, known as the R. Layman Carroll House, was commissioned by John W. Carroll and designed by R.C. Burkholder. John, who is R. Layman’s father, was one of the prominent tobacconists of Lynchburg. John built a few homes within the Federal Hill neighborhood including one that he occupied at 1102 Harrison Street. Things to see in this house are the second-floor bathroom displays, a colorful transom from Belgium, and a collection of Depression glass. As a tribute to the Carroll family, the current homeowners have included tobacco-related antiques and decorations throughout the house. Enjoy an evening on a walking tour of the Garland Hill Historic District with a guide that will delight and entertain you with stories of the haunts of days gone by. The walks will start at 300 Harrison Street, where tickets can be purchased each night beginning at 6 p.m. First come, first served; limited walks each evening. Tickets are $10 for adults and $5 for children 11 years and under. No rain dates; group reservations for 10 or more can be made by calling the Lynchburg Historical Foundation office at (434) 528-5353. All proceeds go to the Garland Hill Neighborhood Association and the Lynchburg Historical Foundation. The Roanoke Valley Garden Club will host best-selling author, James Farmer, on Tuesday, October 6 at the Taubman Museum of Art, 110 Salem Avenue in Roanoke. 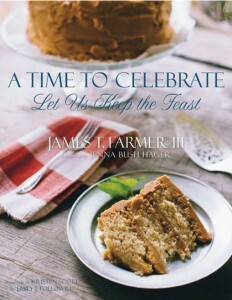 Farmer will be speaking and demonstrating flower arrangements from his newest book, A Time to Celebrate. His latest work features cooking, recipes, entertaining, and stories about celebrations done in the Southern style—with graciousness and hospitality. A professional garden, floral, and interior designer, cook, author and lifestyle expert, Farmer is an entertaining speaker who emphasizes garden-to-table living. He has been featured on HGTV Gardens, Paula’s Best Dishes, NBC Today, and in numerous magazines. The event will be held from 10 a.m. to 12 p.m. Tickets are $50 each and are available online, along with more information about the event, at www.JamesFarmerInRoanoke.com. Proceeds will benefit community projects in the Roanoke Valley.